Want to know what is at the top of nearly every single list for 2018 marketing and social media trends? It isn’t some brand new, flashy technology. And it probably doesn’t come as a huge surprise – particularly for the tech-savvy readers of this blog. When it comes to 2018 digital trends, video at the top of nearly every list…again. Despite being around for years, online video continues to find new and interesting ways to reinvent itself. And, perhaps more importantly, industries everywhere continue to find value in it with innovative ways to use video to communicate with their customer base. Video is taking over the online world as the most desired and dominant form of communication. As it has grown, video content is now being viewed as the best way to communicate a brand story, engage with target audiences, and interact with customers and prospects. Not only are people saying that this is true, but the numbers are there to support it as well. One such stat is sponsored video content views jumping a whopping 256% since 2016. For multifamily professionals and leasing agents, that’s great news. Video in the multifamily marketing world can have a huge impact, potentially more than any other industry. Video allows leasing agents to show properties much more effectively than a static image will ever be able to. Let’s dive deeper into that and take a look at a few real video consumption statistics and how the multifamily industry can benefit. According to Cisco’s Visual Networking Index (PDF), by 2019, the global consumer Internet video traffic will account for 80 percent of all consumer Internet traffic, and this doesn’t even include video exchanged through peer-to-peer (P2P). For the United States, that statistic rises to 85%. The popularity of video is undeniable. That statistic means that at any given point, 4 out of 5 people that are online will be interacting with some sort of video content. If your multifamily team doesn’t have up-to-date, effective video content for your website, social media, and leasing, you will be missing out on engaging with a large portion of consumers online. While video was important on social media platforms in 2017, it will reach true dominance in 2018. With the increased popularity of video, social networking services were, and continue to be, quick to update and accommodate. Look at the popularity of Instastories – over 200 million people use the feature every month. While there are varying ways video is being successful on social media sites, the baseline consensus is that your multifamily community, company, or brand will need to present and providing the type of content people are looking for (video) to stay relevant in 2018 and beyond. That’s right. If video isn’t already a major part of your marketing plan, you are far behind. What this means is that it is no longer just a matter of having video. The vast majority of brands and marketers already do. What this means is that to stand out, particularly in multifamily, a brand must take videos to the next level. It no longer suffices to simply have one stock marketing video produced and expect that same video to produce results for you. Your videos need to resonate with your target audience online and be what prospective residents are looking for. For the target Millennials and Gen Z’s, that means real, genuine and, in many cases, live video. Speaking of live video…3x more viewing time is a significant amount of extra time to have someone’s attention and cannot afford to be overlooked. Once a tool that used to be thought of as a gimmick, live video is now a mainstay in social media and beyond. The true power of live streaming video is still being fully uncovered, but 2018 will see companies and brands in every industry and of every size embracing live video and incorporating it into their marketing strategies. Multifamily communities in particular have a unique opportunity to show off their properties and appeal to prospective Millennial and Gen Z residents in real time, answering questions as they arise, addressing concerns, and building relationships on the spot. A big differentiator of live video? Personalization. Live video allows leasing agents to show, in detail, what is most important to prospective residents – whether it is closet space or community amenities. What’s the point of excellent digital marketing if no one remembers it? There isn’t much of one. When it comes to consumers receiving and retaining the message you are looking to convey via your marketing efforts, video is a clear winner with 95% of that message being retained. Sharing a photo with some subtext or an overlaid capture only achieves 10% retention. The choice is clear when it comes to delivering content that will be viewed and retained. And during a consumer’s real estate search process, you will likely get one chance to make your community stand out from all the others they’re also viewing. That is not an opportunity you cannot afford to waste. While there are many great trends that will get traction in 2018, video has some serious staying power. 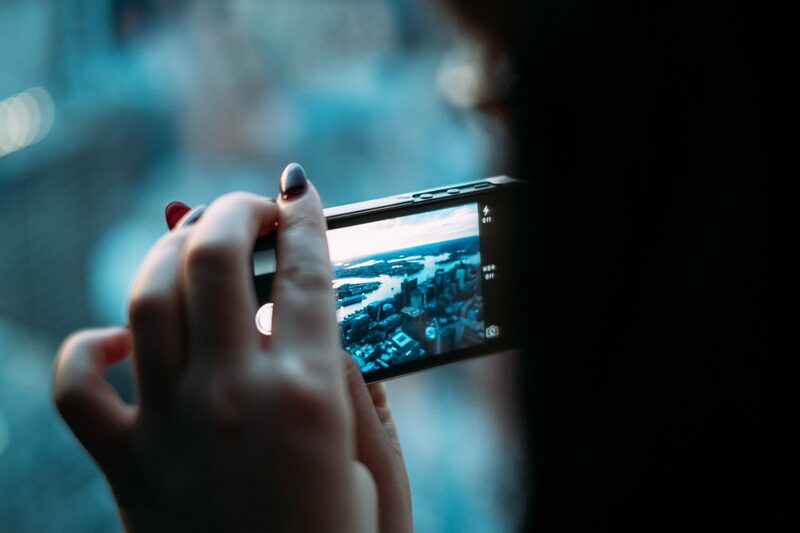 If you want your community and multifamily brand to compete this year, you’ll need to break out the mobile devices and find new, innovative ways to bring video to your prospective, and current, residents…because the competition is likely already doing the same. Have questions or want help getting your video strategy going for 2018? We’re here to help!